In many cases, people who are called to be physicians aren't aiming for an administrative job, rather a career practicing medicine and fulfilling a desire to help people heal from disease and live well. 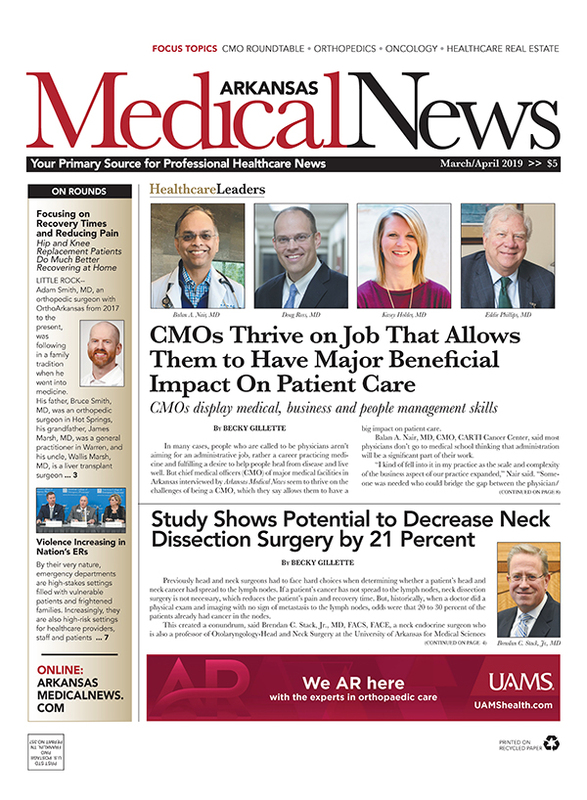 But chief medical officers (CMO) of major medical facilities in Arkansas interviewed by Arkansas Medical News seem to thrive on the challenges of being a CMO, which they say allows them to have a big impact on patient care. Nair graduated from Grant Medical College, one of the oldest and highly ranked medical schools in Mumbai, India. He was torn between pursuing an engineering versus a medical degree and eventually decided on medicine because he found the science of cell biology quite mesmerizing. He did all his post medical degree training in the U.S. and was drawn to hematology/oncology by Lyle Sensenbrenner, MD, who was his attending physician in Detroit and also an early pioneer in bone marrow transplant. Balan A. Nair, MD, CMO, CARTI Cancer Center, said most physicians don't go to medical school thinking that administration will be a significant part of their work. 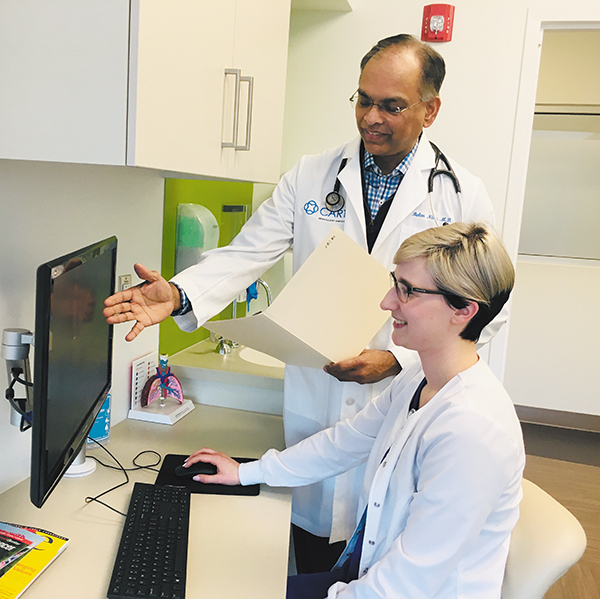 "I kind of fell into it in my practice as the scale and complexity of the business aspect of our practice expanded," Nair said. "Someone was needed who could bridge the gap between the physician/clinical care teams and the management executive teams. There were a few of us who helped out in that regard. And when my senior partner Lawrence Mendelsohn, MD, decided to give that up, I stepped into that role." Nair said the role of CMO requires a business mindset and also a number of soft skills that are not taught in medical school. "But we all learn continuously throughout life and as physicians we certainly bring some unique talents to the table as well," Nair said. "While we are able to bring to our patients many exciting developments in our field, the pace of innovation and staying ahead remains the number one challenge we face and the best way to handle it is to constantly learn, listen and humbly execute. I also rely very heavily on the team of physicians who are involved in administration, as well as clinical care." Doug Ross, MD, CMO, CHI St. Vincent. Ross was born in Michigan, but moved to Fort Smith in junior high, and calls himself an Arkansan. He married his high school sweetheart, who was born in Arkansas. He went to the University of Arkansas for undergraduate training and studied chemical engineering, went to the University of Arkansas for Medical Sciences, and then did his emergency medicine residency at the University of South Carolina. After residency, he moved to Hot Springs and has been there ever since. Doug Ross, MD, CMO, CHI St. Vincent, entered the medical field simply with a calling to help people. His first leadership experience in medicine was being elected as chief resident in his class. "I found that I enjoyed this role, but certainly did not think I would transition my career to administration," Ross said. 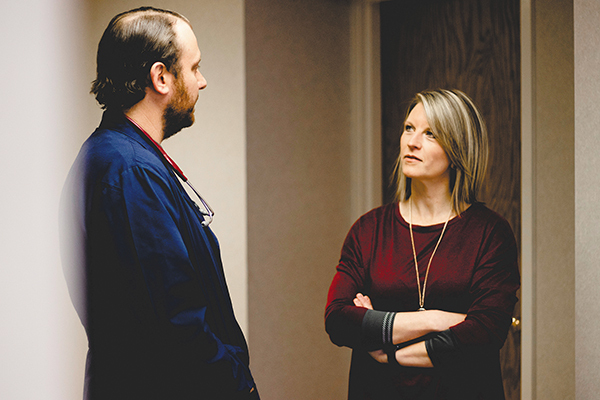 "In Hot Springs, I found that while I tremendously enjoyed working on the front lines in our emergency department, I found that I could touch and help more people in an administrative role. At this point, God opened some doors that have helped me with this desire to help others from more of a leadership position. I now have the opportunity to help spread our healing ministry across the State of Arkansas." Ross said his number one challenge is encouraging their teams to think differently, to transform healthcare. Current models of care are unsustainable. "This is why we need to continue to innovate, to deliver high quality care at the lowest possible cost," Ross said. "We approach this first by engaging our physicians and coworkers in this work and helping them understand the 'why' of needing to think differently. Once we have our teams engaged, we work together to design an innovative process that meets our goals." Holder was born in Little Rock, and grew up in Paragould. She received a BS in biology from Arkansas State University and attended University of Arkansas for Medical Sciences for Doctorate of Medicine. She completed Family Medicine residency at UAMS-Northeast in Jonesboro 2007. She worked in an ambulatory clinic in Paragould for a few years then returned to UAMS-Northeast Family Medicine residency program as a faculty member before transitioning into a St. Bernards hospitalist position about six years ago. She has been married 19 years and has two children--a son, 13, and a daughter, 8. "My father is a family medicine physician so I grew up with a lot of exposure to the medical field," Holder said. "I spent many hours visiting him at his clinic or a call room at the hospital. Although I had an interest in medicine, I initially didn't think it was conducive to having a family so had planned to pursue a different path. However, in college, I found that I really enjoyed and had an aptitude for science, physiology and critical thinking. I really felt the pull to go into medicine when I realized I could help others by applying what I was good at and enjoyed." 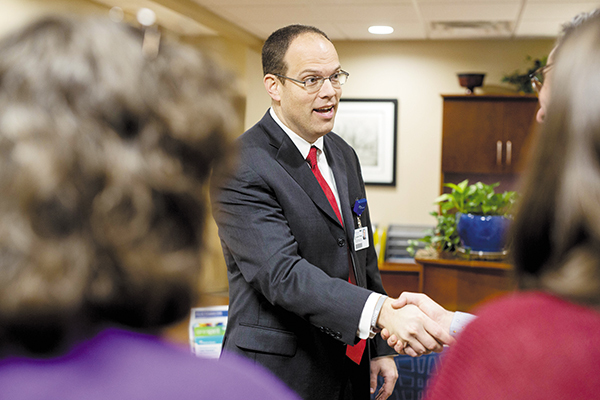 Kasey Holder, MD, CMO of St. Bernards Medical Center, said it was actually a pretty difficult decision to move away from direct patient care into more of an administrative role. "There were many factors that played into that decision but, ultimately, I felt I had an opportunity to affect the quality and delivery of patient care on a broader scale and couldn't pass that up," she said. Holder said today the role is more than just a liaison between the medical staff and administration. In the transition from volume to value, responsibilities now include quality and safety management, reducing care variation, ensuring evidence-based practice and appropriate resource utilization, process improvement, regulatory compliance and more. "We are very fortunate at St. Bernards to have an exceptional medical staff so persuading them of the importance of our goals related to improving patient care is typically not a struggle," Holder said. 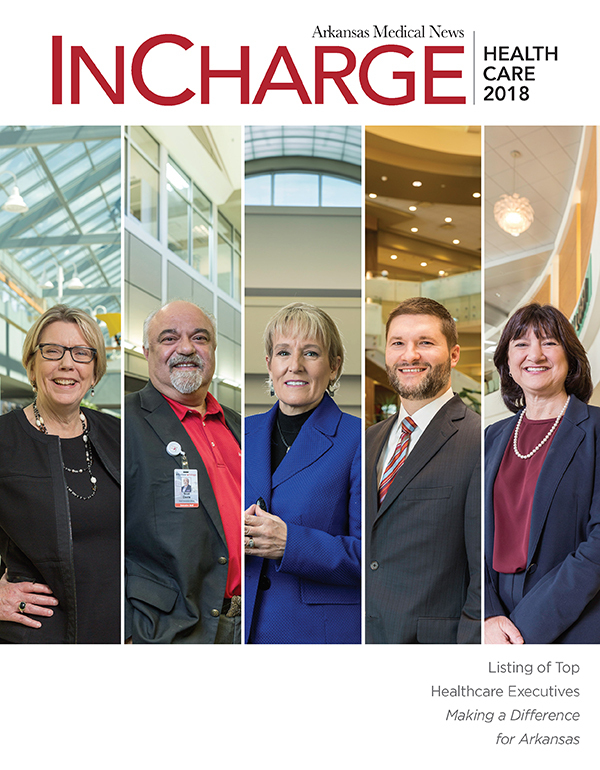 "However, knowing that there are so many important things to accomplish to achieve cost-effective, high-quality care and being mindful of the fact that physicians are asked to do so much already and burnout is a real and serious problem, the biggest challenge for me has been establishing priorities and implementing change in a way that is not burdensome to physicians. I depend a lot on our physician leaders for input and prefer, when possible, that they be a large part of identifying areas of focus and developing solutions." Eddie Phillips, MD, CMO, Baptist Health. Phillips was born in Little Rock, attended Little Rock Public Schools. He graduated from Southern Nazarene University in Bethany, Okla., and then earned his MD from the University of Arkansas for Medical Sciences. He completed a residency in obstetrics and gynecology and started private practice on the campus of Baptist Health in 1980. He became the chief medical officer for Baptist Health in 2013. Eddie Phillips, MD, CMO, Baptist Health, said almost all physicians choose to practice medicine to improve the quality of life for those people they see. "I never considered an administrative role until asked by the Baptist Health CEO in 2013," Phillips said. "I thoughtfully considered the position and accepted it with the idea that I could continue to affect and influence the quality of care for many more Arkansans." Phillips said the number one challenge most health systems face today is financial constraints. As CMO, he is expected to communicate these challenges to their physicians and work with them to mutually navigate these challenging times. Phillips stays in touch with patient needs by continuing to read medical journals. In addition, many former patients stop by his office to visit and he always makes time to listen to them and help them understand their medical concerns and questions. 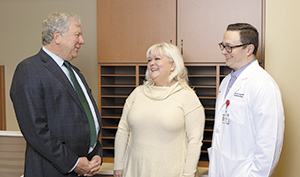 "Also, I make patient rounds at Baptist Health Medical Center-Little Rock on an almost daily basis, and talk to and listen to our patients," Phillips said. "I also visit with staff physicians on a daily basis and inquire about needs for our medical staff and the patients they are privileged to serve." Holder said they ask patients for their feedback. 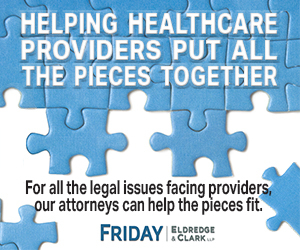 "There's always something to learn from a patient's experience - positive or negative," Holder said. "We elicit input from our patients daily during their hospitalization and after discharge so we are aware of positive recognition of physicians and staff, as well as any concerns or questions. In addressing questions or concerns, I have many conversations with patients and families related to the care they expected, the care they received, what we did well and what we can do better. I also participate in our patient and family advisory council and hear many good insights from our patient's perspectives." Nair said it helps that he still has a fairly busy clinical practice and tries to listen to what patients feel are their pain points. "Conferences are another way to keep in touch with how others are thinking," he said. Ross said he stays engaged with patients by staying visible and in constant contact with patients. "Consistent and purposeful rounding on staff and patients helps me stay connected with the work at the bedside," he said. "This feedback in invaluable to me as we constantly evaluate our processes of care. Advice for physicians out there eyeing a CMO position. Kasey Holder: I would encourage anyone interested in a CMO position to talk with other CMOs to ensure they have a good understanding of what the role entails, then evaluate their strengths and weaknesses relative to the role and develop an education plan. While the medical knowledge and practice experience physicians have is important in this role, many of the necessary knowledge and skills aren't learned in medical school, residency or clinical practice. The scope of the CMO role varies at different institutions but, for many physicians pursing this position, leadership development, understanding healthcare organizational structure and function, change management, quality improvement, regulatory compliance and payment structures are areas. Balan Nair: The CMO typically should be a person who loves a challenge, can understand how management is likely to view an issue and why, who likes to make decisions, who is not afraid to do new things, who can work with a team mindset and one who can humbly lead with integrity. If this description fits you, jump right in because you will love every minute of it! Eddie Phillips: Physicians considering an administrative role in the future, such as CMO, should maintain an excellent relationship with patients and fellow physicians. In addition, preparation with executive courses provided by such institutions as the Sam Walton College of Business at the University of Arkansas would be an excellent investment.